The term avatar comes from the Sanskrit word “avatri” which roughly translated means to appear, or descend into. More and more the presence of avatars in our lives suggest our metamorphosis into virtual bodies and the argument can be made that we can have as many electronic personas as we have time and energy to create. With the rise of social networks, message boards, and augmented reality, in effect we are all lucid dreaming in an awake state. Our lives online exist purely in a space which parodies our actual physical interaction. 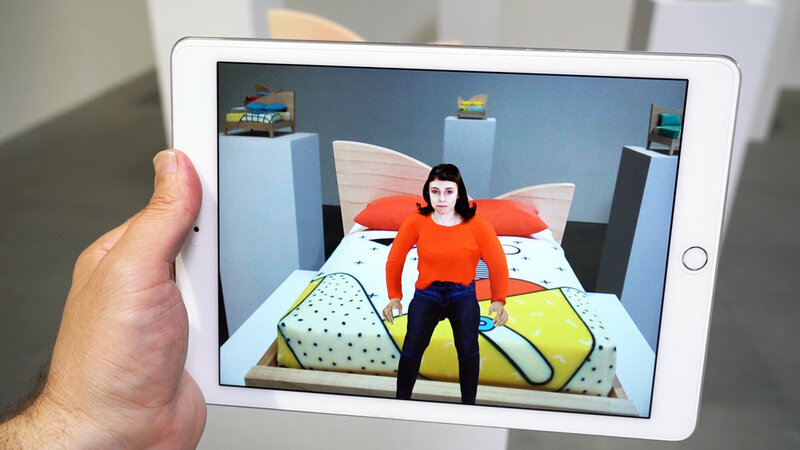 Descent is an augmented reality interactive video sculpture featuring 12 beds where avatars live out their hopes, dreams, and anxieties.